While not required by law throughout most of Arizona, bike helmets are considered a vital piece of safety equipment for any cyclist. Regardless of your age or your biking experience, bike helmets can mean the difference between life and death during a collision. Over the past few decades, studies have shown that wearing a bike helmet can reduce the odds of serious brain injury by almost 85%. Unfortunately, even the safest cyclist, armed with the best helmet on the market, can end up injured at the hands of a reckless motorist. If you, or a loved one, have recently been involved in a bike accident – with or without a helmet – you may be able to take legal action against the at-fault party. But you'll need proper representation to make your Phoenix bike accident claim. That is where the Husband & Wife Law Team of Mark and Alexis Breyer can help. For decades, Breyer Law Offices, P.C. have represented individuals just like you. People who have been injured. People struggling with severe pain and mounting medical bills. Our goal is to help you get on the road to recovery, in the most efficient and comfortable way possible. Give our office a call today at (602) 267-1280 or contact us using the form found on this page. All consultations are free and we will travel to you if you are unable to come to our office. Our personal injury team will provide you with the insight and the information you'll need to get started. Are Bike Helmets Mandatory In Phoenix? Unfortunately, there are no statewide laws regarding bicycle helmets. While it is recommended, Arizona does not require riders of any age to wear a safety helmet. However, certain municipalities do have codes, which require riders under the age of 18 to wear a bike helmet. Flagstaff, Pima County, Sierra Vista, Tucson, and Yuma require bike helmets. Outside of those locales, it is up to the individual rider or their parents to decide. As experienced personal injury attorneys, who have witnessed the damage a severe bike accident can have on an individual, we recommend considering a safety helmet when planning to take a bike ride. If I Am Injured In a Bicycle Accident, What Kind of Compensation is Available? 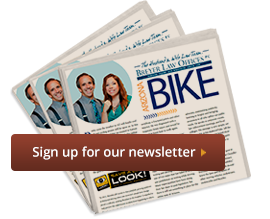 For more information on this and other bicycle accident related issues, please contact the Husband & Wife Law Team of Mark and Alexis Breyer at (602) 267-1280 or use the contact form found on this page. Our team is ready to help you get the recovery you deserve! Phoenix Bike Accident Injury Lawyer Disclaimer: The legal information presented at this site should not be construed to be formal legal advice, nor the formation of a lawyer or attorney client relationship. Any results set forth herein are based upon the facts of that particular case and do not represent a promise or guarantee. Please contact an attorney for a consultation on your particular legal matter. This web site is not intended to solicit clients for matters outside of the state of Arizona.